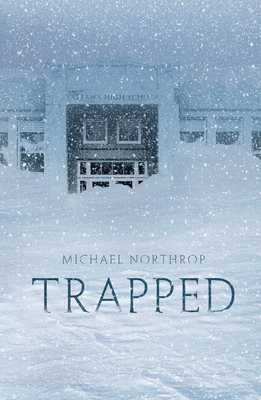 A chilling YA thriller from critically acclaimed author Michael Northrop. The day the blizzard started, no one knew that it was going to keep snowing for a week. That for those in its path, it would become not just a matter of keeping warm, but of staying alive. . . .
Scotty and his friends Pete and Jason are among the last seven kids at their high school waiting to get picked up that day, and they soon realize that no one is coming for them. Still, it doesn't seem so bad to spend the night at school, especially when distractingly hot Krista and Julie are sleeping just down the hall. But then the power goes out, then the heat. The pipes freeze, and the roof shudders. As the days add up, the snow piles higher, and the empty halls grow colder and darker, the mounting pressure forces a devastating decision. . . .
Michael Northrop is the New York Times bestselling author of TombQuest, an epic book and game adventure series featuring the magic of ancient Egypt. He is also the author of Trapped, an Indie Next List Selection, and Plunked, a New York Public Library 100 Titles for Reading and Sharing Selection and an NPR Backseat Book Club Pick. An editor at Sports Illustrated Kids for many years, he now writes full-time from his home in New York City. Learn more at www.michaelnorthrop.net.